Shabby Shanty is a Pinterester's dream! 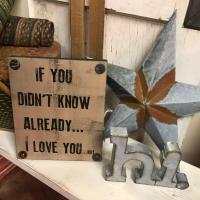 With over 4800 square feet, we burst at the seams with Antiques, Collectibles, Vintage Items, Rustic Items, Furniture and so much more, with our inventory changing on a daily basis. A lot of folks around Elko agree, "we have something for everyone," just stop in and see for yourself! 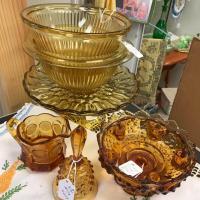 Buffmott's Antiques & Eweniques: Sharon Doke specializes in Antique Glassware, a variety of Collectibles, including, Western, Jewelry and Kitchen Items. Call for more information at 775-753-6995. Nawnies Boutique: Tena Inskeep offers a variety of customizable baby items perfect for a unique gift at any baby shower. Also, enjoy beautiful home decor pieces and wall decor. For more buying options and information, visit her Facebook at facebook.com/nawniesboutique or her website at http://www.nawniesboutique.com/. 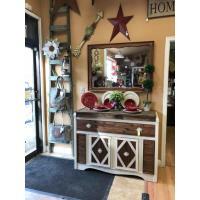 The Red Geranium: Lois has excellent variety in Antique China, Glassware, Jewelry, Kitchen Items, Vintage Hutches, Curio Cabinets and more. For more information, give her a call at 775-340-9604. 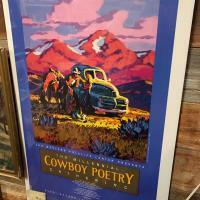 This-That & All That There: Find antiques, vintage trunks-tools-toolboxes-mining-western items, signs, metal toys, Native American arts & crafts, Vintage Levi-Wrangler & Lee Advertisements, Will James Limited Prints, Pendleton Blankets, Books and so much more. For more information, call Debbie Hoover at 775-777-8264.